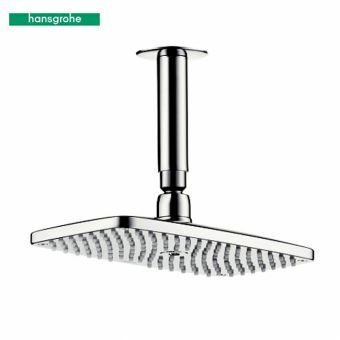 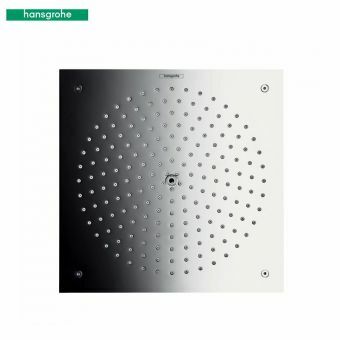 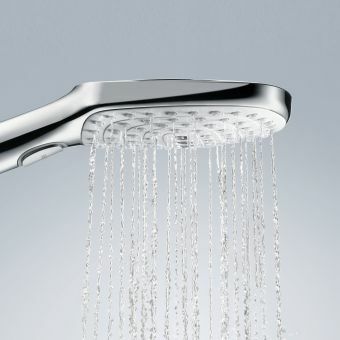 Presenting a showerhead that is truly alternative, innovative and wholly modern, Hansgrohe's Raindance Rainfall 150 immediately brings an element of cutting edge interior design to the bathroom space. 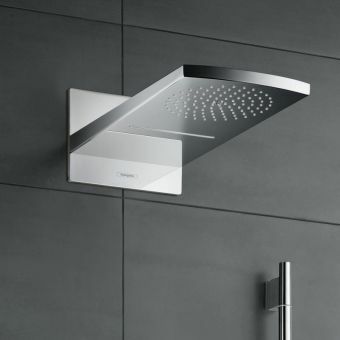 Opting for an alternative design approach, the Raindance Rainfall is a far cry from traditional shower heads, with a distinctive form and function. 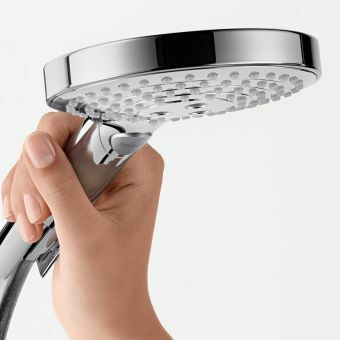 Although a mere 150mm across, its ingenious design ensures a wide, powerful spray from its uniquely formed spout. 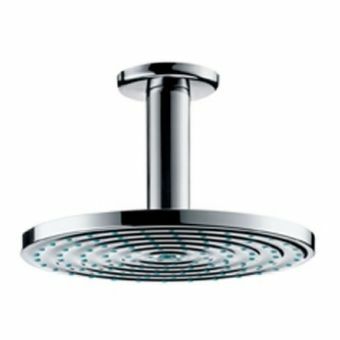 The combination of striking components and shining chrome make this the perfect choice for the fashion-oriented, contemporary living space that embraces innovation. 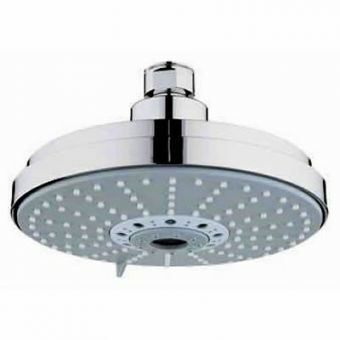 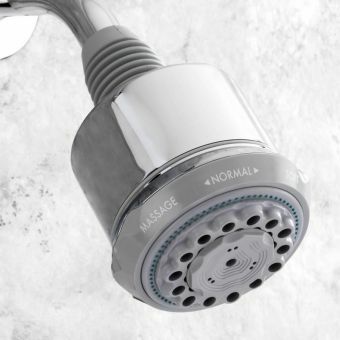 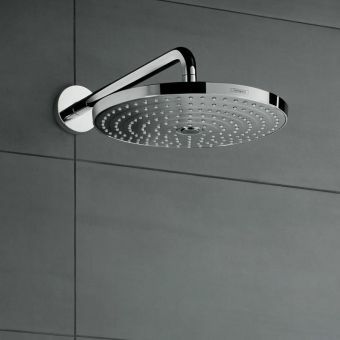 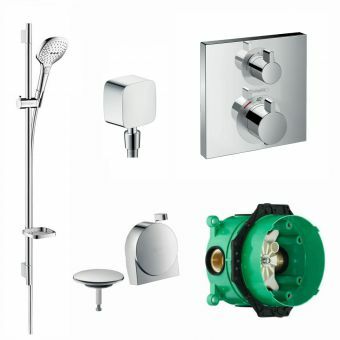 Please note that this shower fitting operates between a minimum of 1.7 bar and a maximum of 10 bar of water pressure.